One large breathable mesh back support with straps. 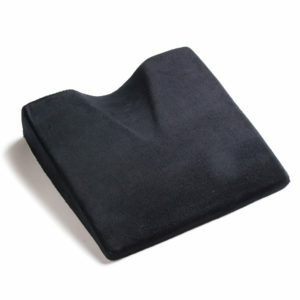 One lumbar support memory foam cushion with strap. Lightweight and breathable material for ultimate support and comfort. Versatile cushions to be used any from office chair, car seat, air plane, or and chair. 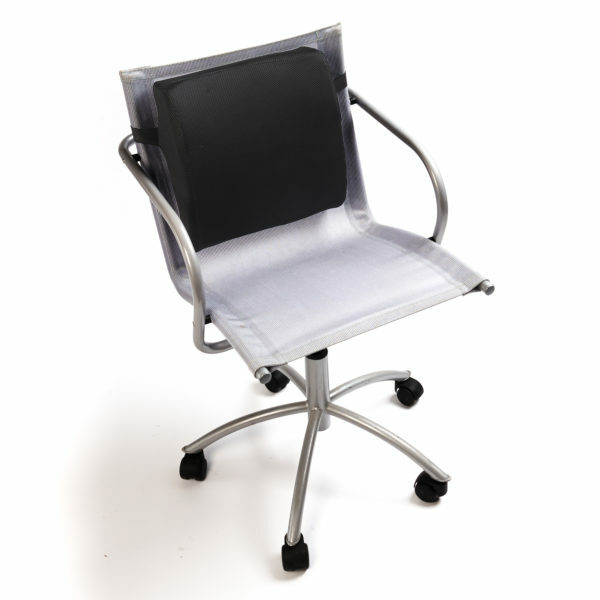 Each lumbar support has a manufactures lifetime warranty. 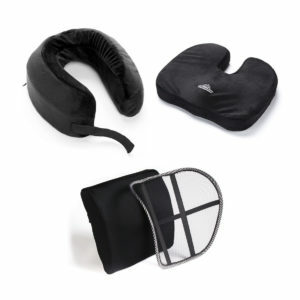 Black Mountain Products lumbar back support cushion set is the perfect item for lower back support. 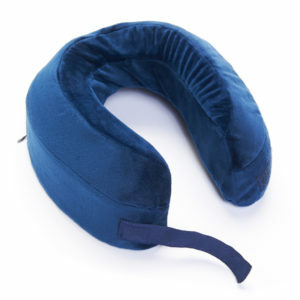 Each cushion is designed to relieve lower back pain and support curvature of the spine. Each orthopedic support is light weight and made of breathable material for superior comfort. These are ideal cushions for traveling, office desk chairs, plane seats, and much more. 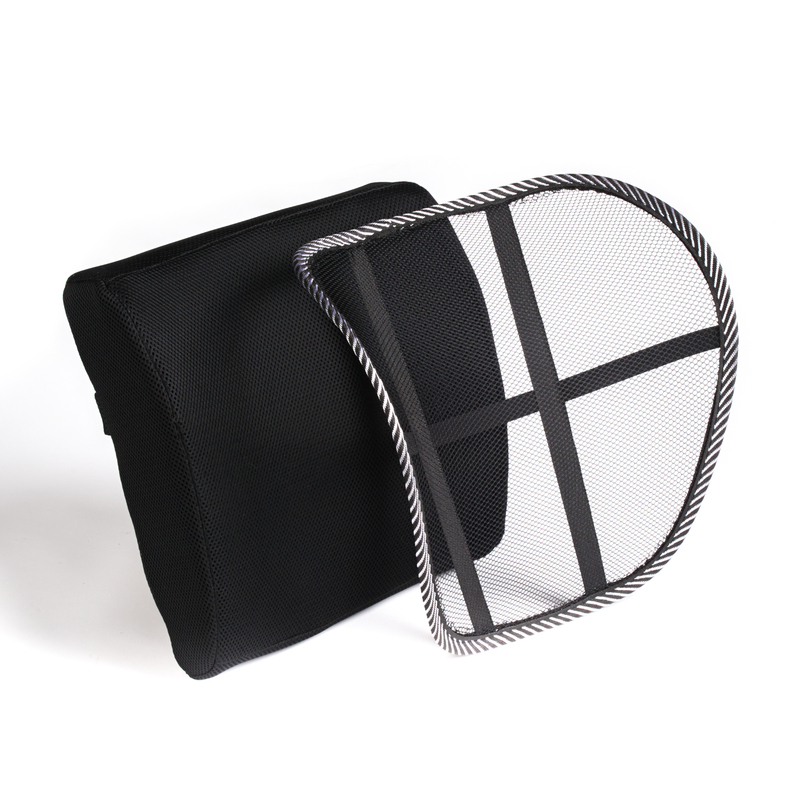 Both cushions come with elastic straps to hold each unit in place for ultimate support. 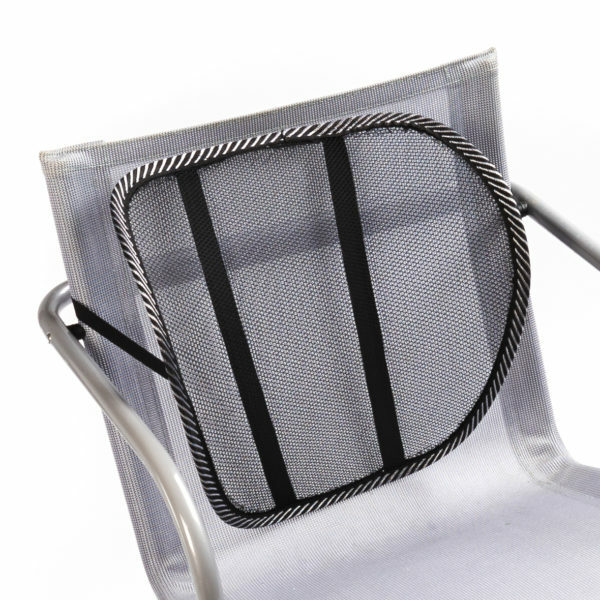 The large mesh support measures 14 ½ inches tall by 15 inches wide. 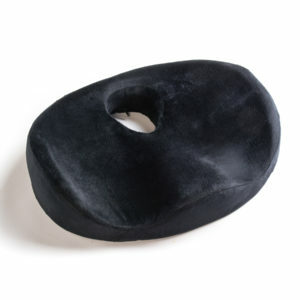 The memory foam cushion measures 13 inches tall by 13 inches wide by 4 ½ inches deep. Every Black Mountain Products item comes with a lifetime manufactures warranty.